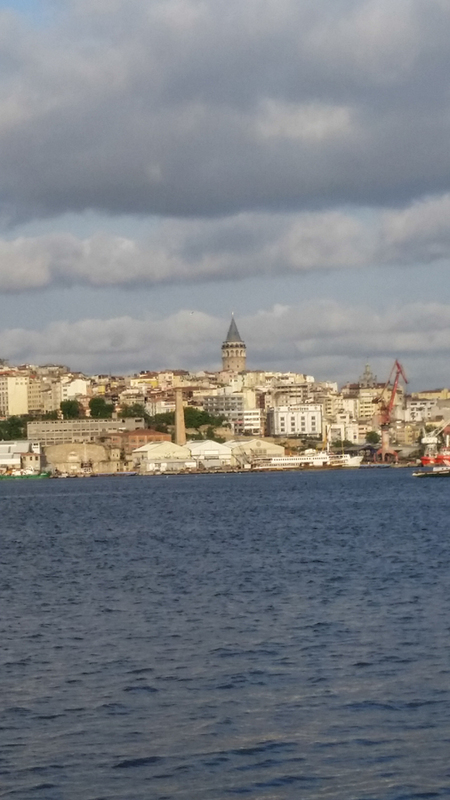 In the spring I spent several days in Constantinople which is known today as Istanbul. 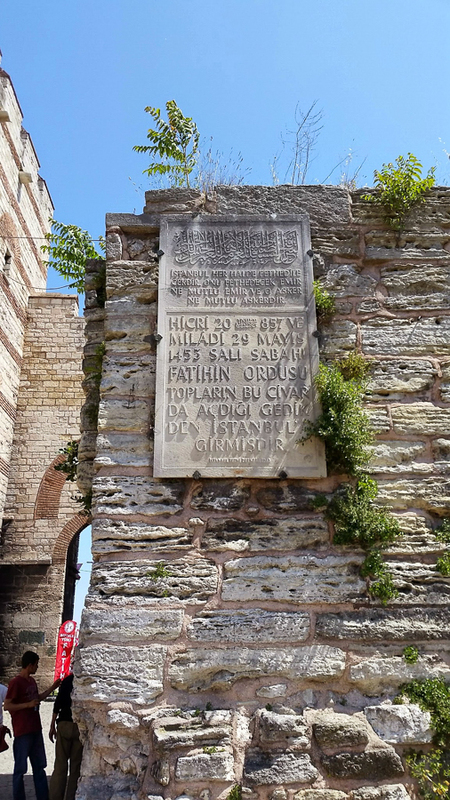 On May 29th 1453 the great city which stood as a center of Christianity for over a thousand years fell when it was besieged by the Muslims who conquered the city on May 29th 1453. 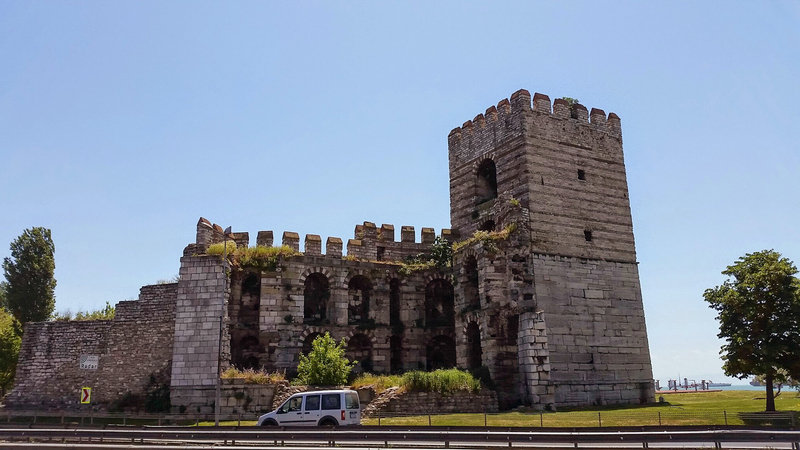 While in Istanbul I read the book Constantinople, The Last Great Siege by Roger Crowley. This reading inspired me to walk the walls on the evening of the 28th and reconstruct the siege in my mind. Then on the following morning I was up at 6 a.m. which is the time when the Muslims poured into the city and panic spread throughout the population. Then at 8 a.m. 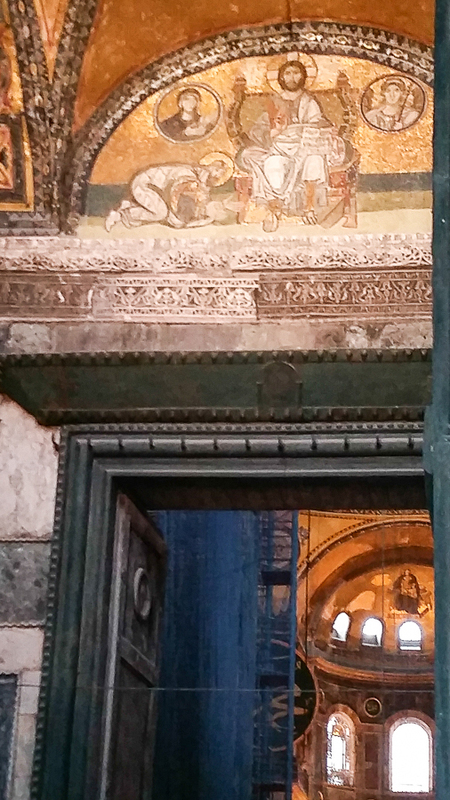 I went to Hagia Sophia to remember that morning when the Muslims battered down the Imperial doors to the great church. My walking the walls was truly a vigil of remembrance of those final days. 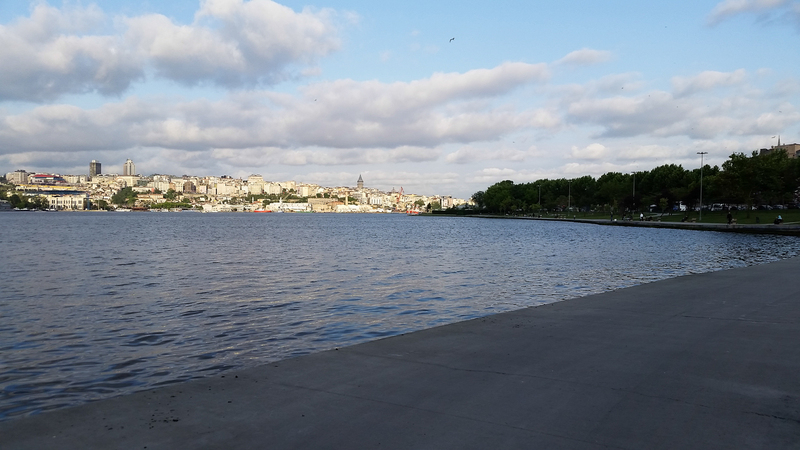 I began the 24-mile walk around the perimeter of ancient Constantinople which fell to the Turkish Muslims on the morning of May 29, 1453. 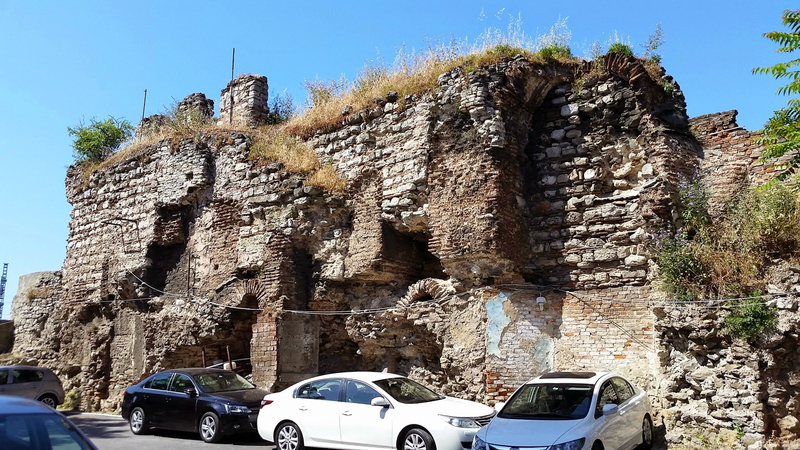 Since my grade school Constantinople has always offered me a fascination especially the walls which were the most important defense system in late antiquity. 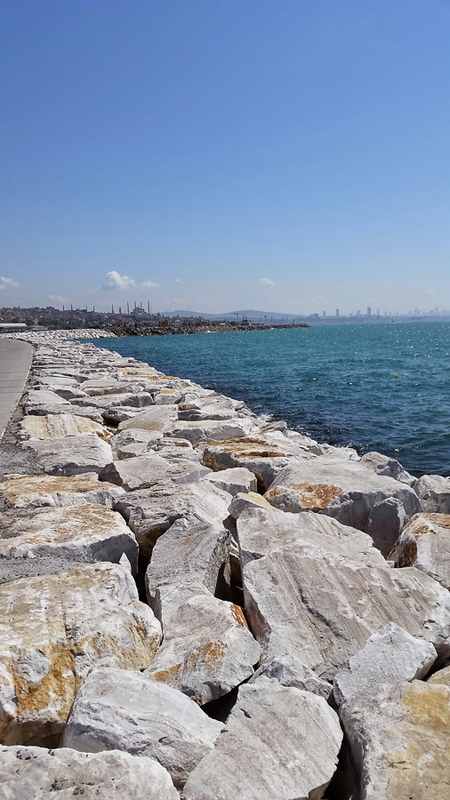 The walk began along the the Sea of Marmara where the wall was low because the strong currents made an attack impossible. 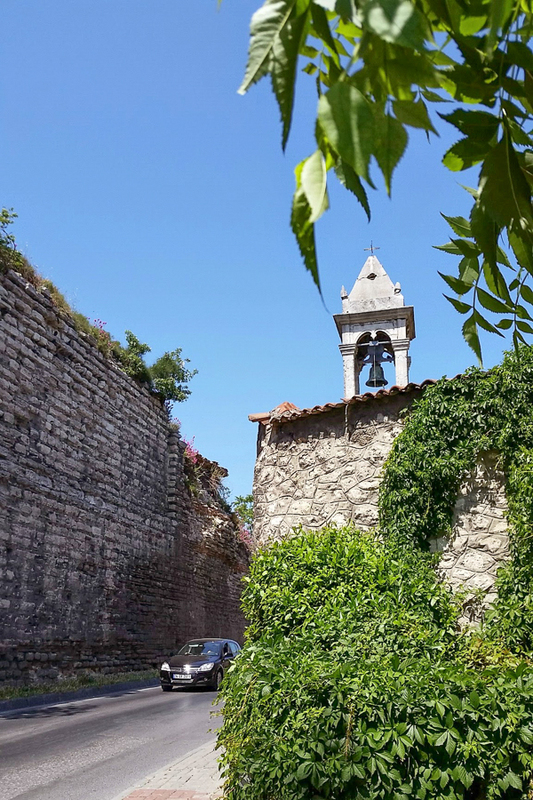 The church of Saints Sergius and Baccchus marks the first of the city’s harbors on the sea. The walk was long however my eyes were attentive to ruins along the way. This is the only place where the ruins of the walls are on the sea. 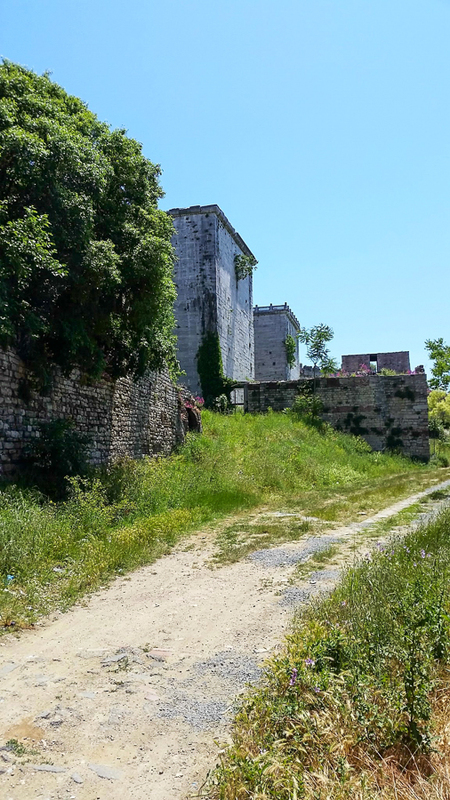 Very little remains however in this vicinity right before the junction of the Theodosian land walls and the sea walls was the Gate of the Pomegranate that was close to the important monastery of Stoudious. 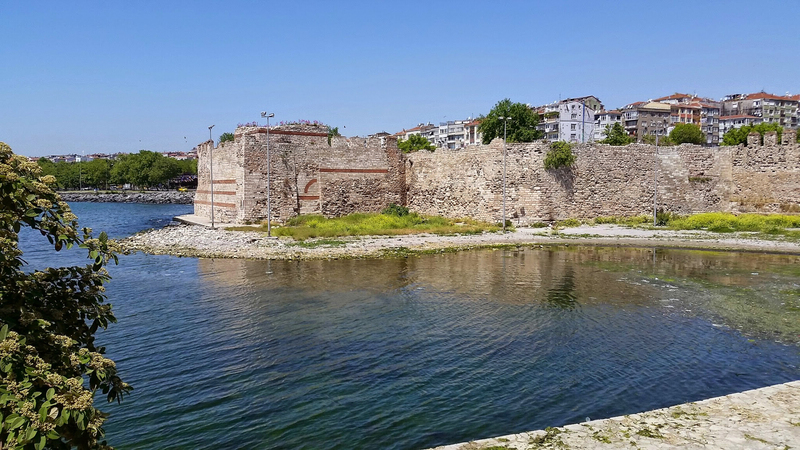 Although heavily restored this is the Marble Tower which is the junction of the wall on the Sea of Marmara and the Theodosian wall that extends 5.7 miles to the area of the Palace of the Porphyrogenitus in the Blachernae quarter on the Golden Horn. 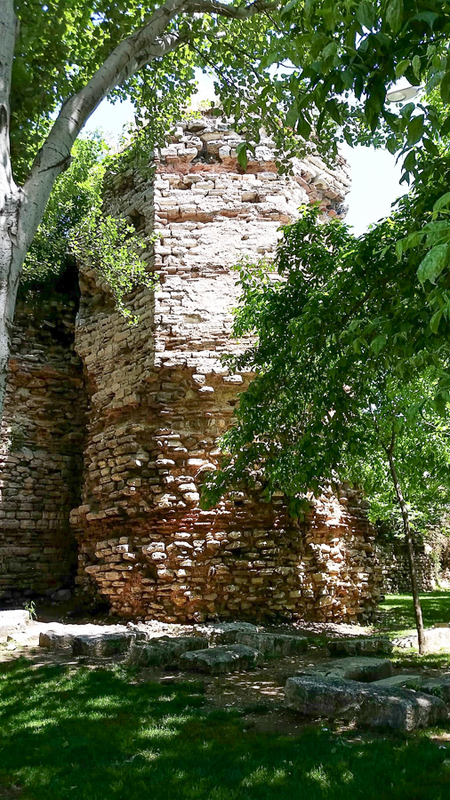 The walls at this point are heavily restored. They will rise sharply northeast to the Golden Gate. To gain access to the Golden Gate is not possible however I took this picture from afar. 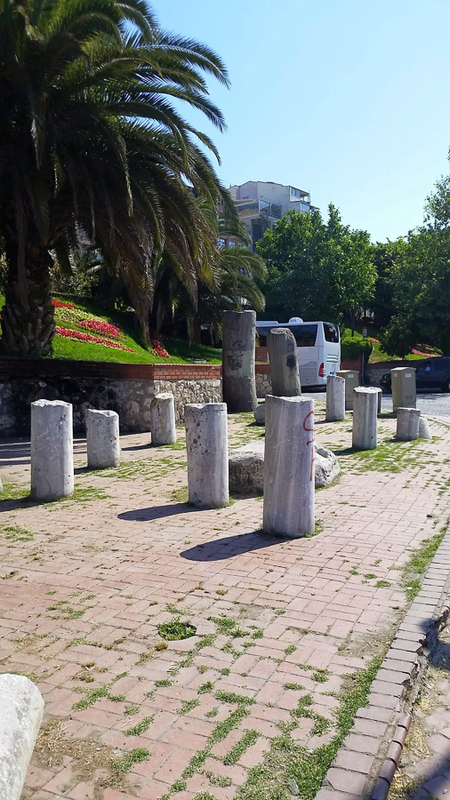 This was the ceremonial gate that was only opened for the triumphal entry of the emperor although Pope Constantine entered in 710. 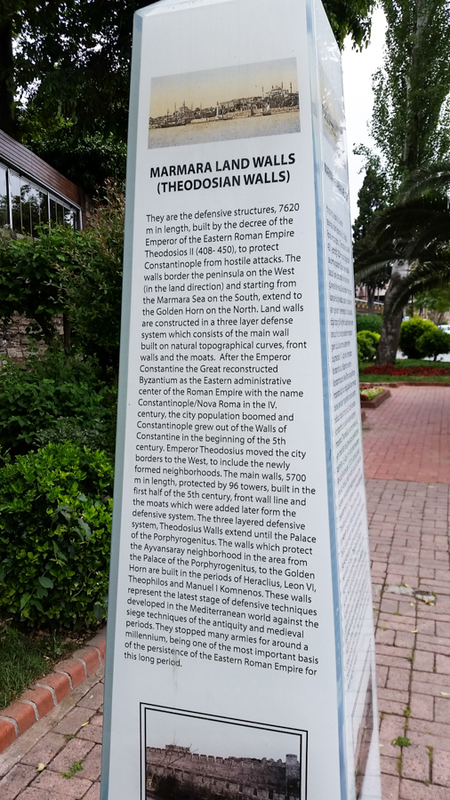 There was an inscription that read: Theodosius adorned these places after the downfall of the tyrant. He brought a golden age who built the gate from gold. There is another legend associated with the gate. 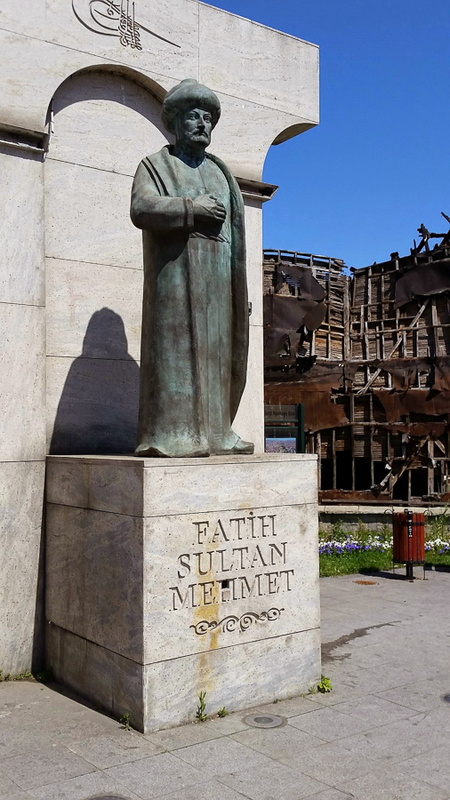 When the Muslim Turks entered the city an angel rescued the Emperor who was turned into marble and interred in a cave nearby where he waits to be resuscitated in order to conquer the city back. 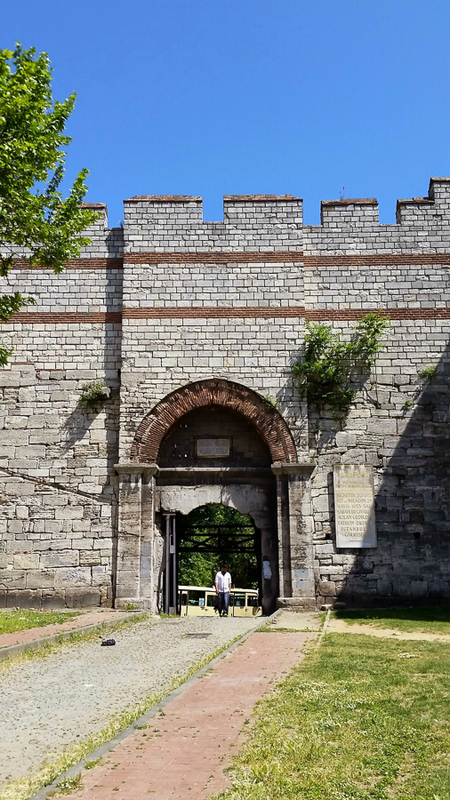 The Belgrade gate has been heavily reconstructed however the large stones at the base of the wall are original. 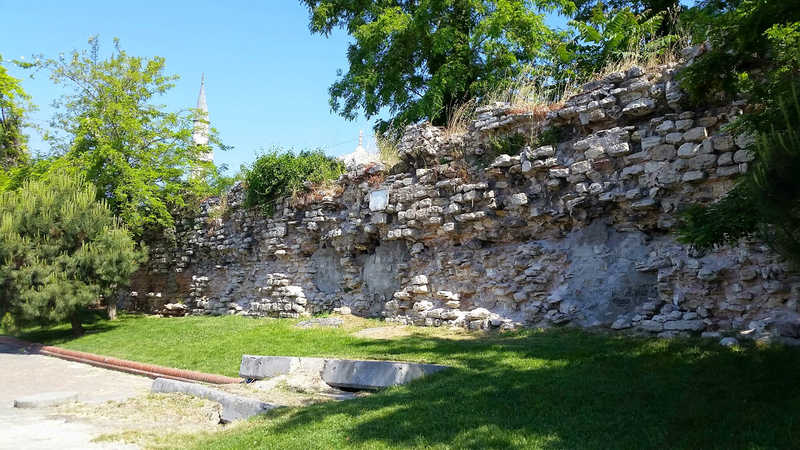 This section of the walls is heavily reconstructed. 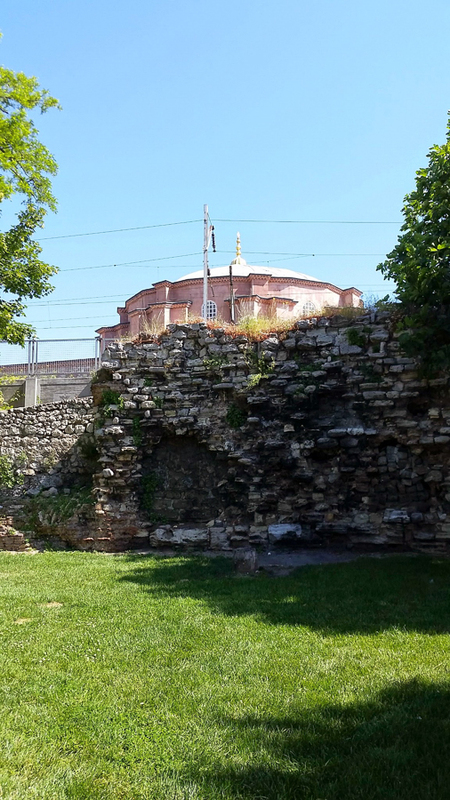 These land walls were constructed by Emperor Theodosius from 413 to 439. They were 4.8 meters in width and 11 to 14 meters in height. On the early morning of May 29 1453 was the decisive breakthrough. The gate had been inadvertently left unlocked. The Muslims entered, raised their flag, opened fire, spread panic and thus led to the fall. 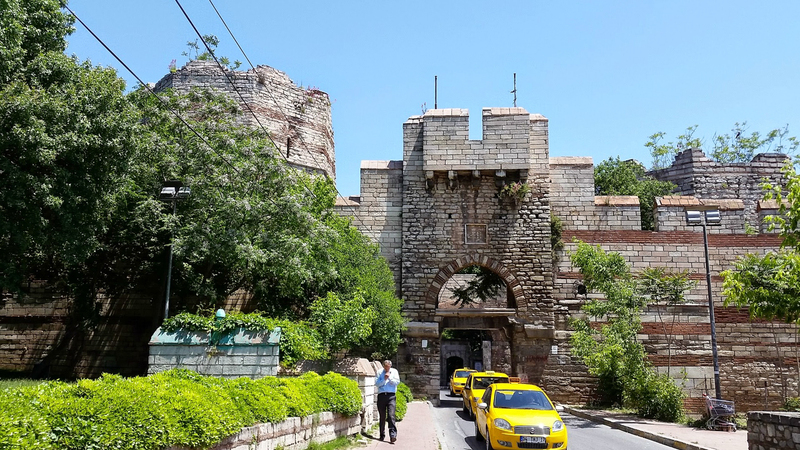 The Gate of Charisus or Edirnekapi was the gate Mehmet triumphantly entered the city on 29 May 1453. 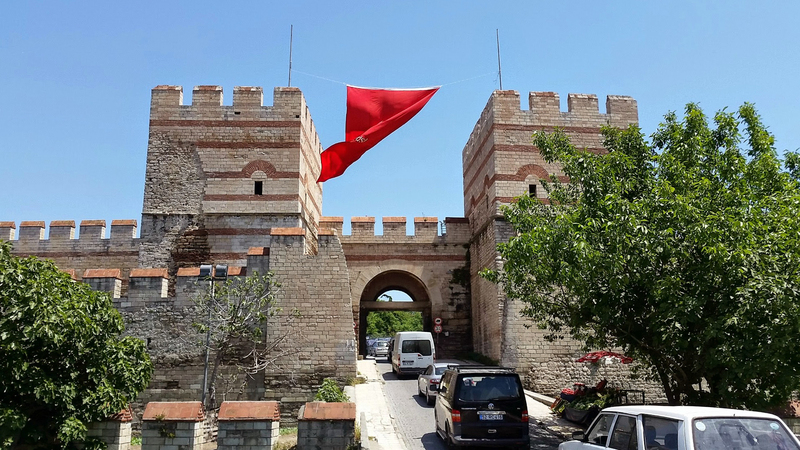 This is also the gate where sultans left with ceremony on their campaigns to conquer Europe. 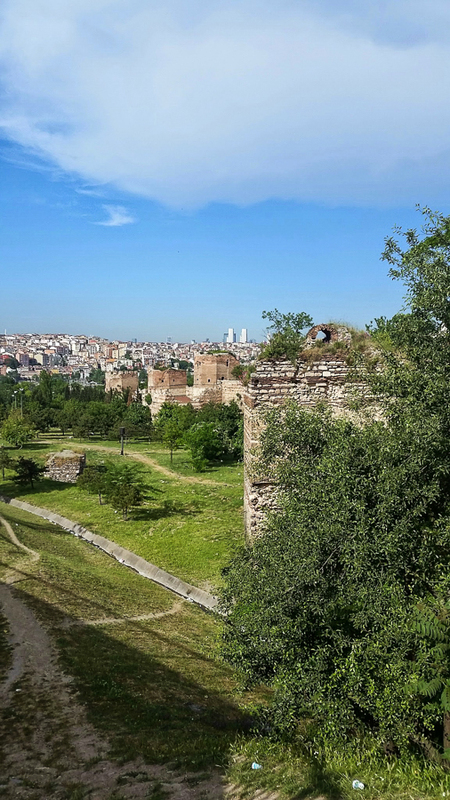 This is looking towards the Golden Horn where the walls of the Blachernae Palace connect with the Theodosian walls which terminate at the palace of Porphyrogenitus. 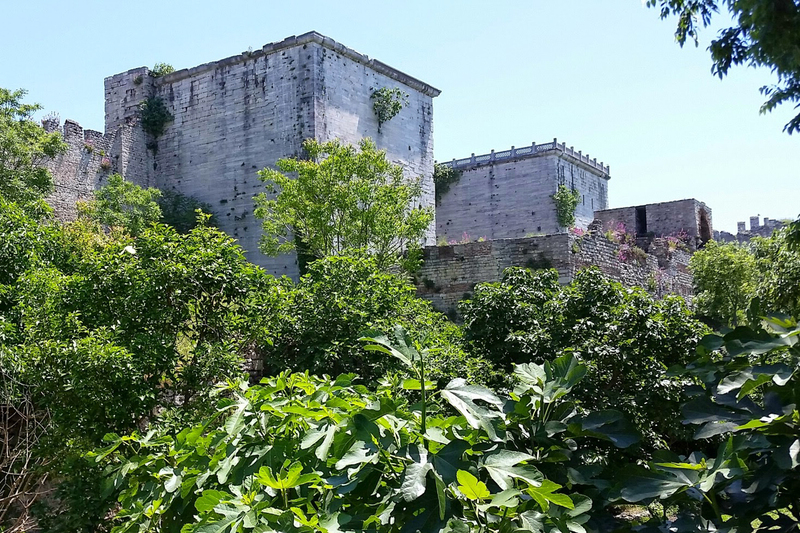 From the the low walls were set back from the Golden Horn. 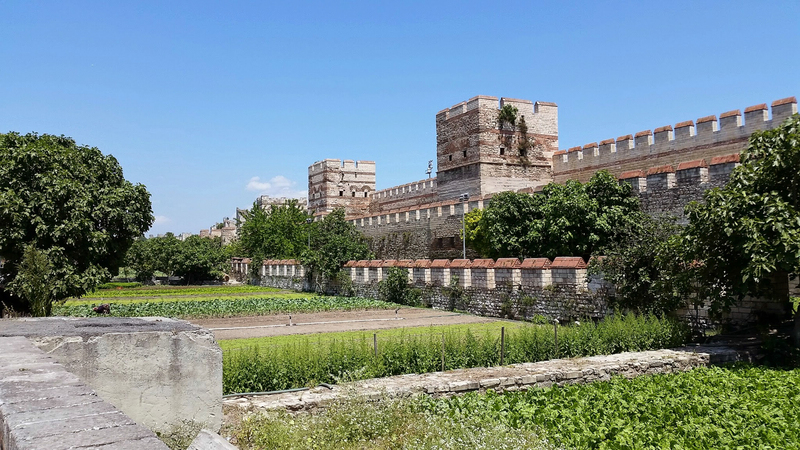 The Blachernae since the 11th century was the residence of the Emperor. Another plaque commemorating the conquest. 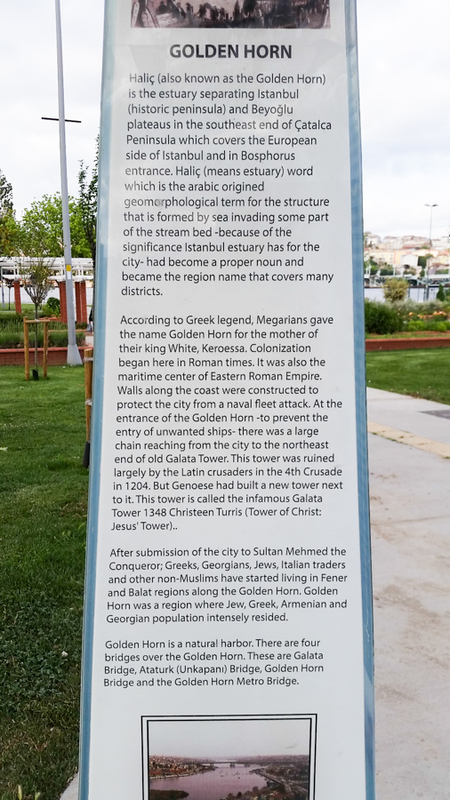 The Turkish narrative is that the Byzantines were corrupt and thus God delivered the city into their hands to demonstrate the superiority of Islam over Christianity. 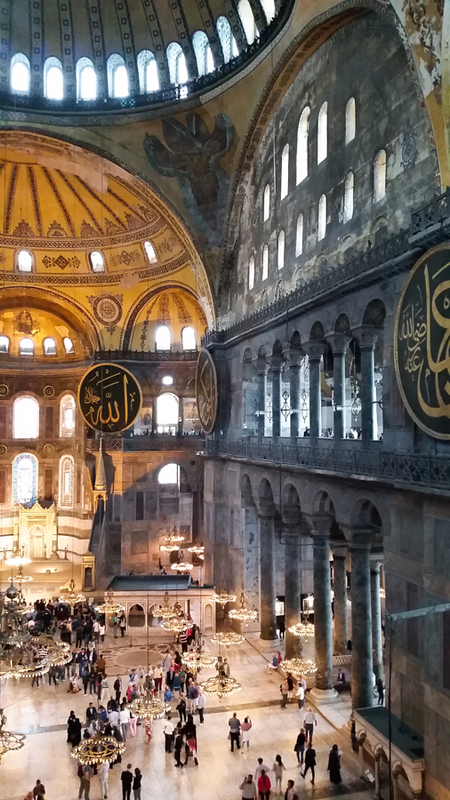 Tomorrow: the fall of Hagia Sophia. Update: This article links to a very good video explaining how and why the walls were built. 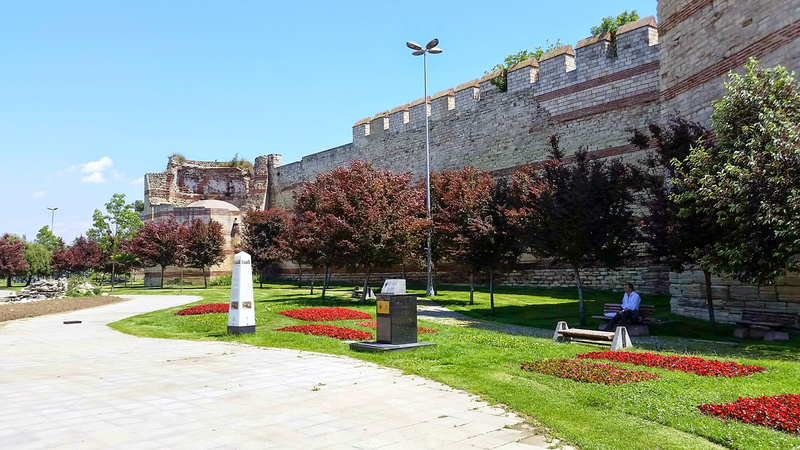 It includes reconstructions of what the walls would have looked like and how they were a defense of the city. The video is below. 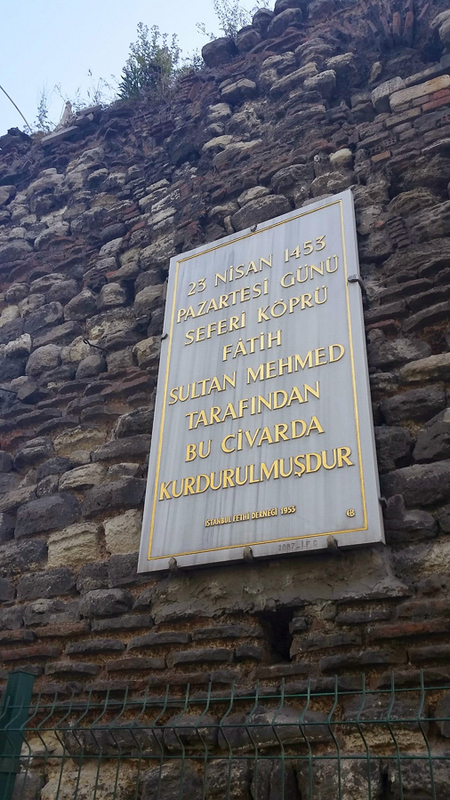 This entry was posted in Islam, Persecution, Silk Road, Turkey and tagged Constantinople, Hagia Sophia, Istanbul, Mehmet on September 19, 2015 by frjfkauffmann.